Early example of stream restoration becomes highlight of 1/2 mile street widening and pedestrian improvement project for city of Bellevue. GAYNOR proposed stream relocation, restoration, and habitat enhancement work within existing Highland Park as a creative alternative to piping the creek. 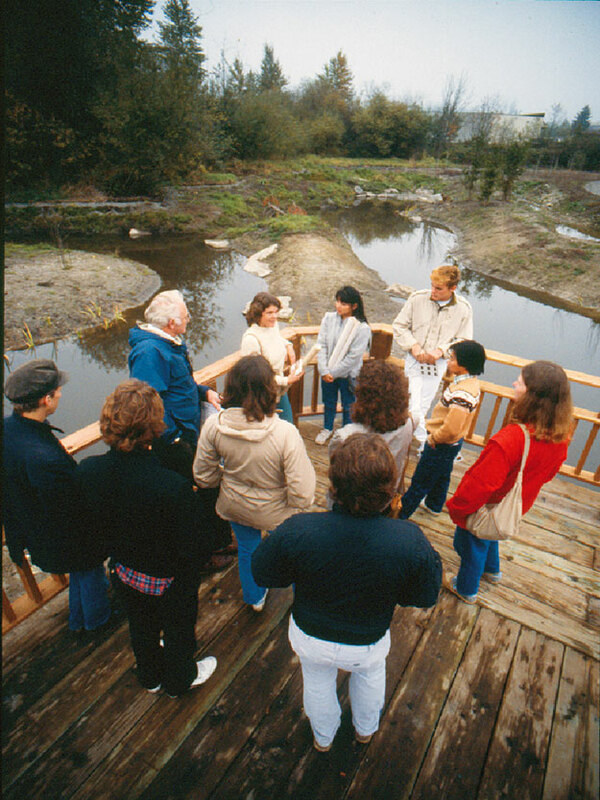 Built in two phases, the 1986 Phase 1 included $250,000 for stream relocation, habitat enhancement and pedestrian boardwalk. After 27+ years, only the boardwalk appears man-made as it zigzags over the mature, naturally meandering stream, associated wetlands and runoff treatment swales. 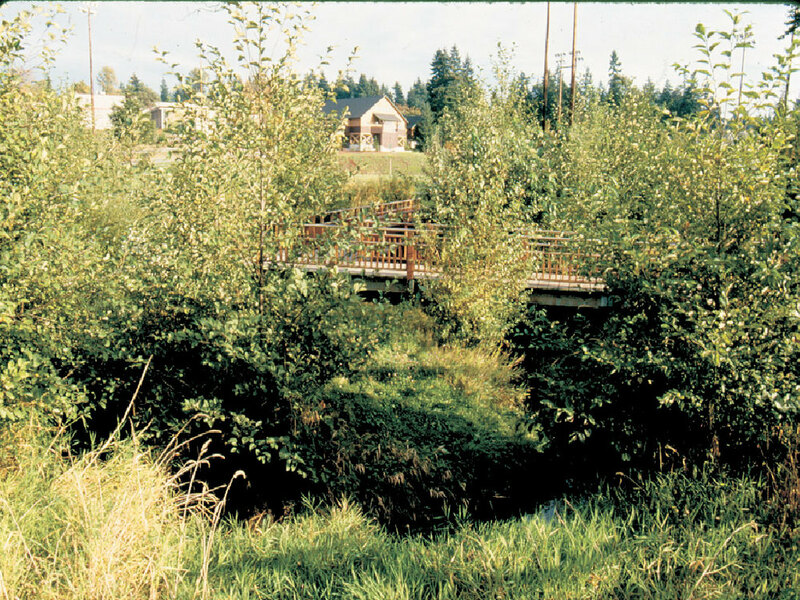 Project wins 1991 Honor Award for Design from Washington Chapter, American Society of Landscape Architects.